THEY DO IT UP ON THE MOUNTAINS AS WELL AS DOWN BY THE LAKES, BUT ALSO IN THE MIDDLE OF THE RURAL VINEYARDS OR GRAND HISTORIC BUILDINGS. AUSTRIANS LIKE TO CELEBRATE THE TOPOGRAPHY OF THEIR COUNTRY BY MEANS OF PUTTING ON FESTIVALS. AND THE DIVERSITY OF WHAT IS ON OFFER IS ON A PAR WITH THAT OF THE LANDSCAPE. At the time of day when most clubs would turn their house lights on to announce closing time, things will only just get going at the NORDKETTE WETTERLEUCHTEN FESTIVAL. This DJ event is the world’s highest altitude festival. At over 6000ft above sea level you might not get the biggest names spinning the records, but what really counts is the view. Especially when the sun comes up in the morning and turns the Alps into a stunning spectacle. For two days in July spirits are literally running high in the mountains over Innsbruck during the Wetterleuchten Festival. But you don’t have to be Reinhold Messner to take part: There is a cable car up to the top. Exceptional locations like this are no rarity on the Austrian festival scene. 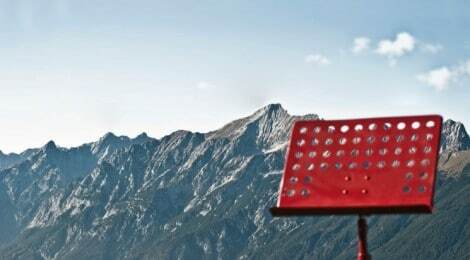 Friends of contemporary music will also find what they are looking for in the mountains of the Tyrol. Schwaz, less than 20 miles outside of Innsbruck is the home of the KLANGSPUREN FESTIVAL, which temporarily transforms private living rooms as well as supermarkets or indoor tennis courts into concert venues. And when the farmers’ tractors rumble through Schwaz, it is all part of the musical performance. This year Sven-Åke Johansson put on a concert for an orchestra of vintage tractors. The POOLBAR FESTIVAL in Feldkirch, Vorarlberg, which stretches from July through August, feels less earthy and closer to mainstream indie and alternative culture. This is where pop meets DJ culture while finding common ground with different disciplines such as architecture. The venue is an old indoor swimming pool, and this festival is regarded as the most important event in the west of Austria. Just around the corner, in Dornbirn, which is twenty minutes drive away, the SOUNDSNOISE FESTIVAL deals in avantgarde electronica way outside the academic context. The mood at this festival feels a lot more restrained than in nearby Feldkirch. 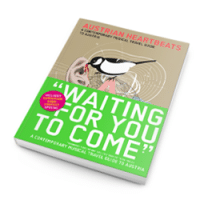 Generally speaking, the festivalisation of electronic music has been a growing trend in Austria for years. The southern province of Styria is especially partial to this kind of amusement. Every April the V:NM FESTIVAL delves into the deep waters of improvised electronic music, while the SPRING FESTIVAL in Graz, featuring a star-studded lineup from the world of club culture, has been a favourite with the crowds for ages. Club culture in the narrower sense of the word is also at the heart of the ELEVATE FESTIVAL, which follows a more sociopolitical agenda, understanding itself as a festival for music, art and political discourse. Apart from electronic musical diversions the festival is dedicated to debating issues such as alternative energy or the handling of big data. You need a bit of theoretical background after all, especially in a university city with a lively student scene like Graz. OPEN AIR OTTENSHEIM in Upper Austria has been a long-running institution to the extent that a book has been published about its origins and history. For the last twenty years, on the last weekend of June they have been rolling out the barrel in the name of advanced and alternative guitar noise. The audience is emotionally involved – a festival as a family concern, worth a trip if only for its charming vibes. 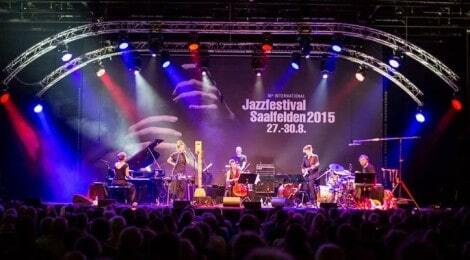 The MUSIC UNLIMITED FESTIVAL, on the other hand, is flying the flag of jazz and improvisational music in Upper Austria. Every November in Wels, everything revolves a round sonic imagery beyond the usual conventions of listening. It has been this way since 1987. The even more well-established and internationally recognised ARS ELECTRONCIA FESTIVAL in Linz, which takes place over the best part of a week every September, is actually all about digital art, but has often been curated with a strong emphasis on electronic music. In landscape terms, the ACOUSTIC LAKESIDE FESTIVAL by the Sonnegger See, a lake near Sittersdorf in the southern province of Carinthia, is particularly impressive. Its promoters have identified acoustic music as the perfect aural equivalent to the idyllic surroundings, offering mostly guitar-based rock and pop on the last weekend of July. A picturesque setting is also one of the main attractions of the PICTURE ON FESTIVAL in Bildein, Burgenland, which is booking international stars like Kosheen, Mother’s Finest or Fear Factory as much as the Austrian pop scene. The fact that the second stage is set up in the middle of an apple orchard speaks volumes about the atmosphere of this very rural festival. You can also listen to JAZZ on the Salzburg mountainside at SAALFELDEN, where the eponymous JAZZFESTIVAL SAALFELDEN takes place at the end of August, hosting both home grown and international performers. In the east of Austria, the two large summer festivals are FREQUENCY at the outskirts of the Lower Austrian capital St. Pölten, endorsed by the public alternative radio station FM4, and NOVA ROCK, a three-day smorgasbord of heavy rock in Burgenland’s Nickelsdorf. 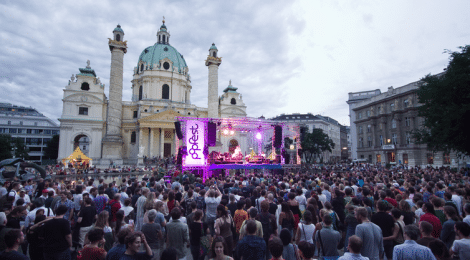 In 2015 the annual URBAN ART FORMS FESTIVAL, which trades in a commercial take on dance culture, flying in all the top name DJs, will move to Vienna after some years in Burgenland and Styria. Word that the annual DONAUFESTIVAL in KREMS, Lower Austria, is something special has been travelling far beyond this country’s borders. 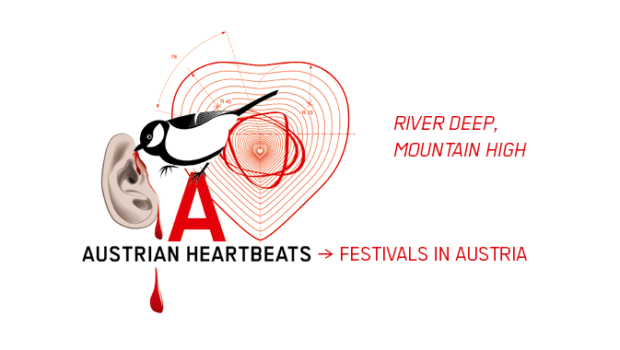 An hour’s drive away from Vienna, this festival, which profits from the policies of Lower Austrian local government funding, has commissioned work by artists such as Alec Empire of Atari Teenage Riot. James Blake played a concert there in the sonically amazing Minoriten church. Another festival called GLATT & VERKEHRT has become equally central to cultural life in the Lower Austrian region by championing world music while also bringing the culture of the local wine-growing region into the mix. Of course, Austria’s capital Vienna also has a number of well-established festivals, the most recent addition being WAVES VIENNA, a four nights’ crawl around a number of small-stage clubs promising a journey of discovery with an annual focus on a chosen special guest country. 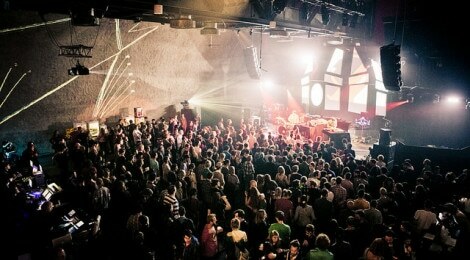 By contrast, POPFEST WIEN is a four-day festival which has positioned itself as a showcase of the young Austrian scene. As it is free and situated bang in the middle of Vienna’s Karlsplatz with its impressive baroque church, it attracts around 60,000 visitors over four consecutive late July days and nights and almost feels like a huge summer fete. 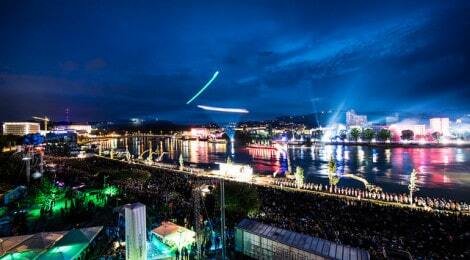 The DONAUINSELFEST, on the other hand, is exactly that, with its endless stages and food stalls along the length of a manmade island that runs along the river Danube, featuring among its main attractions the FM4 stage, where an act like Austrian singersong writer Clara Luzia might end up playing on the same bill as Chase & Status. 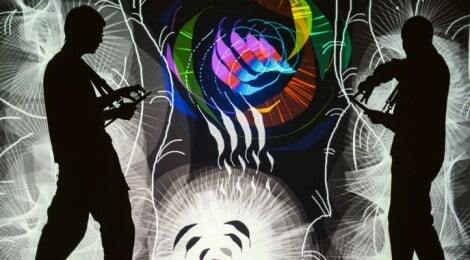 SOUND:FRAME is probably the most internationally recognised of all the non-classical Viennese festivals, but in this case the visuals take precedence over the music. Accordingly, the musical accompaniment is mainly of the club culture variety. While only lasting for one night, the annual FM4 FEST, right in the middle of freezing January, has always been an important date in the concert calendar. After almost two decades of braving the open air at Arena, for the last two years the festival has found a new home at Vienna’s Ottakringer brewery. The GÜRTEL NIGHTWALK, which was created to increase public acceptance for the clubs and bars that had opened along the viaducts underneath the overground line U6 along Vienna’s outer ring road known as “Gürtel” also takes place on just one night. These days the bars along the Gürtel are among the city’s most important music venues. On the last weekend of August this is where new Austrian pop is introduced to the public. But non-pop contemporary music also has its own high-profile platform. WIEN MODERN is the biggest festival of its kind in Austria, lasting for almost three weeks and held in various locations across the city. Even more monumental in length is the AKKORDEONFESTIVAL, dedicated to all sorts of music that the accordion might conceivably play a role in. Hard to pigeonhole, you might put it in the world music bracket, though that world would include international accordionists (and their bands and orchestras) as well as local ones from the traditional vein of melancholy Viennese drinking songs. For a whole month, from late February to late March, this festival provides a combination of stylistic variety and instrumental singularity that is well worth discovering. In 2015, Arcadia Live entered the ring as a new major festival promoter in Austria, successfully establishing HIP HOP OPEN AUSTRIA and reviving NUKE FESTIVAL. In 2016 the company will present several new festivals, including ONE DROP FESTIVAL (Reggae), OUT OF THE WOODS (Indie/Alternative) and NU FORMS FESTIVAL (Electronic Music).